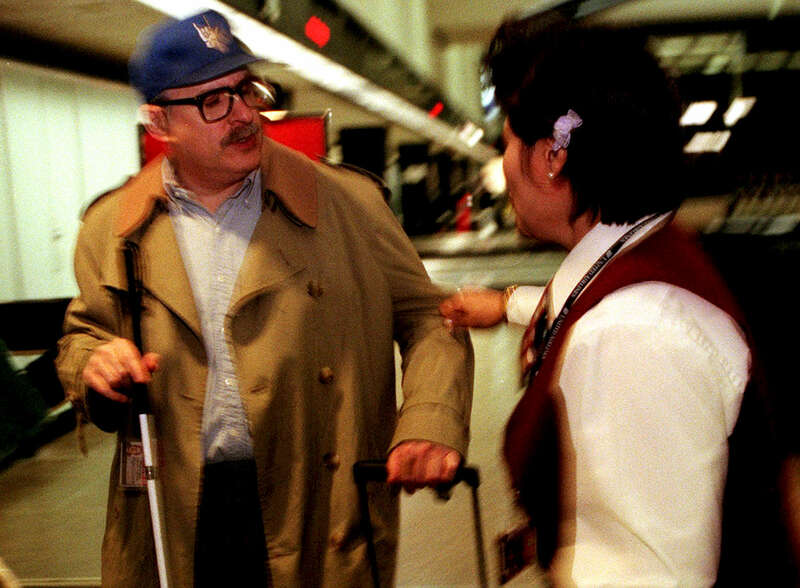 An airline attendent worries that Robert Blumenau, a frequent traveler who is deaf-blind, can’t safely use an escalator that is part of a route he’s memorized. She wants him to take an elevator instead, a change that would confuse him. She also isn’t aware that Blumenau can’t hear her, which further complicates their interaction. Blumenau carries a black marker and paper to communicate with sighted and hearing people. He has a narrow tunnel of vision, similiar to looking through a straw.